Certain types of sliding doors, called partition sliding doors are used to segment areas, create rooms, or divide larges spaces into smaller spaces. 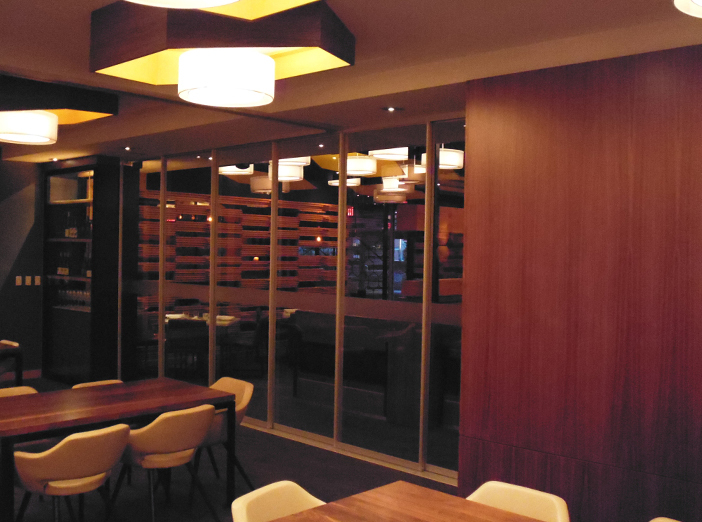 Komandor offers a number of aluminum partition sliding door systems. These systems have their roller hardware hidden in the frame and the door has the same finished appearance on the front and back side of the door. This hardware innovation gives each installation a streamlined “clean look”. Recently, one of Komandor’s clients, a Toronto restaurant owner wanted to create a private dining room in his restaurant. 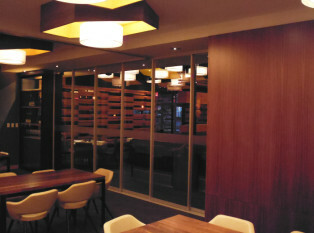 To do this, the restaurateur and Komandor designed a system of interconnecting partition sliding doors using a multiple track system. This multiple track approach, allows for the doors to be stacked one behind the other when not in use. 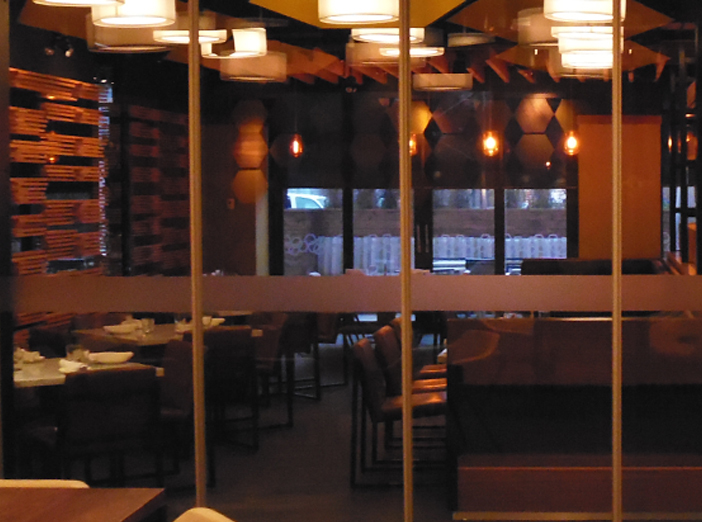 These partition sliding doors for restaurant application used clear tempered glass accented by frosted banding. 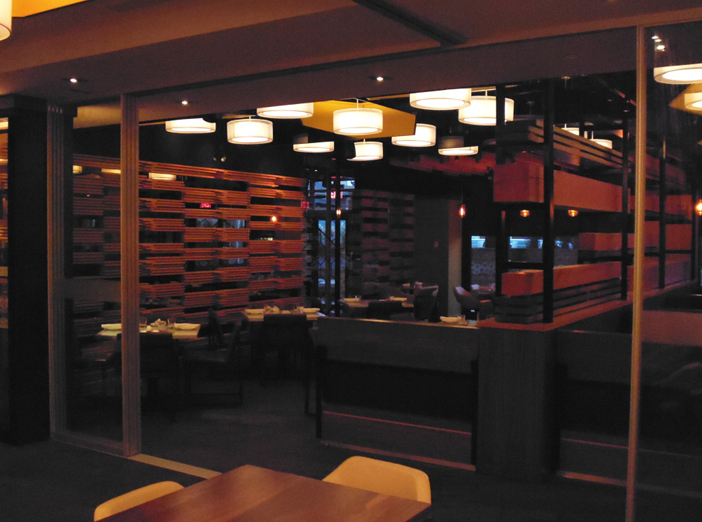 While the restaurateur opted for a clear finish, Komandor’s custom range of glass and finish types give clients and endless array of choices. Please Contact Us if you are interested in our partition sliding door products or would like more information on other Komandor products.